From the courthouse to the kitchen may sound like a road less traveled, but that was precisely the path Donatella Arpaia took and has never looked back. Having been raised in the restaurant business and spending summers in Italy surrounded by chefs, it was a natural fit when Arpaia left behind a career as a lawyer and realized her destiny. She opened her first restaurant at 25 years old, subsequently opening two more, and soon thereafter began making TV appearances, which led to Arpaia having the distinction of judging the most episodes on Iron Chef America and the Next Iron Chef. 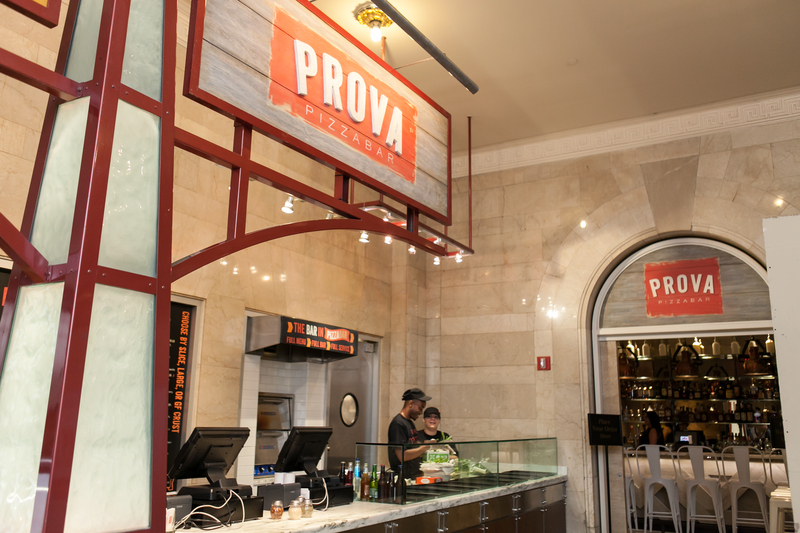 Her latest endeavor is Prova Pizzabar in Grand Central Station in New York City, with a mission to make the most appealing, authentic, healthy pizza that can remain convenient for diners on the go. The Overhead Compartment was quite excited to share a few slices with Arpaia, and find out the secret to her success in the kitchen and life. The Overhead Compartment with Donatella Arpaia begins now…. 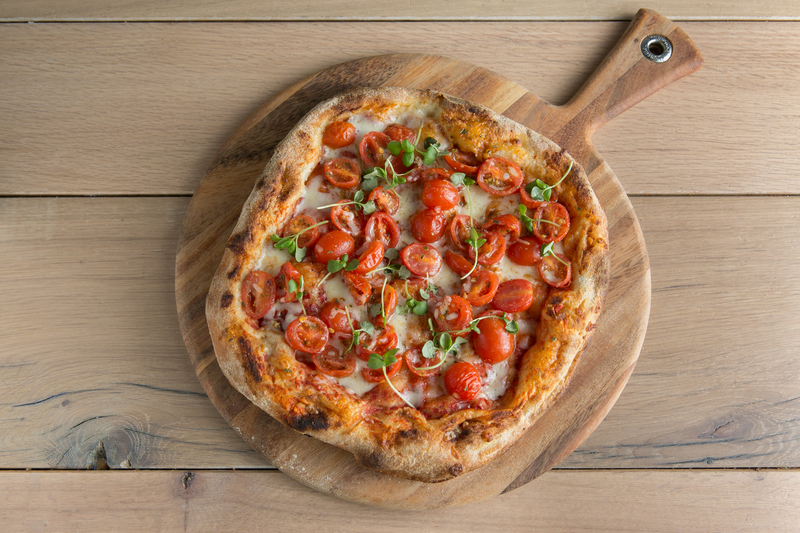 OC: You’re an accomplished chef, cookbook author, restaurateur, TV personality and most recently opened an upscale quick service concept called Prova Pizzabar at Grand Central in NYC. What made you decide to tackle the competitive pizza world? DA: It’s something I had been thinking about for years. I wanted to bring artisanal pizza, done in a very “slow way” as my pizza takes 3 days to rise, to a fast casual environment and concept. It was important that I perfected the process, the recipe and that I found the right location to launch the concept. OC: In what way is the restaurant world better than it was ten years ago? DA: In many ways the business is constantly evolving. You’re dealing with a more educated consumer which I think is fantastic because they are seeking quality in their food and their overall experience. OC: In what way is it worse? DA: It’s become extremely litigious and expensive and overall much harder to run a profitable business. It is very hard to make it today unless you have substantial backing and capital, and that’s sad. OC: You grew up in this world, what is the craziest thing you ever remember happening in a kitchen? DA: Wow, there are so many stories and I am not sure I can put the craziest ones in print. I do remember the electricity going down on a Friday night at davidburke & donatella. The chefs were cooking under candlelight and customers didn’t want to leave despite the fact that it was pitch black. It was such a scene! OC: How do you think your experiences molded you into the chef you are today? DA: Every experience in my 20 years in the business, and frankly my entire childhood, has molded me. You take different paths along the way. You’re constantly learning from your successes but more importantly from your failures. OC: One of your top three favorite restaurants anywhere in the world? DA: La Rosetta in Rome. OC: You spent your summers growing up in Italy. What are three things no visitor to that country should miss? DA: You should explore the lesser known regions like my mother’s birth place, Puglia. It is stunning. I recommend renting a villa or staying at an agriturisomo. You will really get the non-touristy local flavor of the region. OC: What is the most interesting city your work has ever taken you to? DA: Japan, when I filmed the second season of The Next Iron Chef. The culture was so foreign and fascinating. Waking up and going to the fish markets at 4:00 AM was very memorable. OC: What is your favorite meal to cook? DA: PASTA, PASTA, always pasta. OC: What is your favorite meal to order when out at a restaurant? DA: If I am going to a place where I admire the chef, I always opt for a seasonal chef’s tasting menu. In general, I also find appetizers more interesting than mains and will usually order appetizers. I never like to get stuck in a rut and order the same thing, I want to constantly try new things and challenge my taste buds! OC: What’s the one secret you would offer aspiring chefs? DA: Don’t believe your own press, stay humble and passionate. OC: You’re a mom and about to be a mom of twins, how has being a mom changed your culinary life? DA: Becoming a mother has changed my life a lot. As a chef and mother, I now empathize what the average mom goes through to get healthy, satisfying meals on the table that their children will eat. I am asked to work with a lot of brands and to create kid friendly dishes and recipes, so it has expanded the type of work that I do. OC: Your husband is a well known heart surgeon. Which of you gets asked more “need help” questions at parties? DA: Oh, thats a tough one. I think we both do! My husband, Dr. Allan Stewart, constantly gets asked questions and so do I. My husband constantly talks about heart health and the importance of eating healthy and exercising, so sometimes we both answer the questions. I am constantly looking to create healthier recipes since being married to him. DA: Unpack, take a long hot shower and order room service! DA: I never leave home without….my laptop. Donatella Arpaia, please use care upon departure as items may have shifted in The Overhead Compartment during our journey. Thanks for choosing us for your travel tips! Have a wonderful day!